Hi folks! 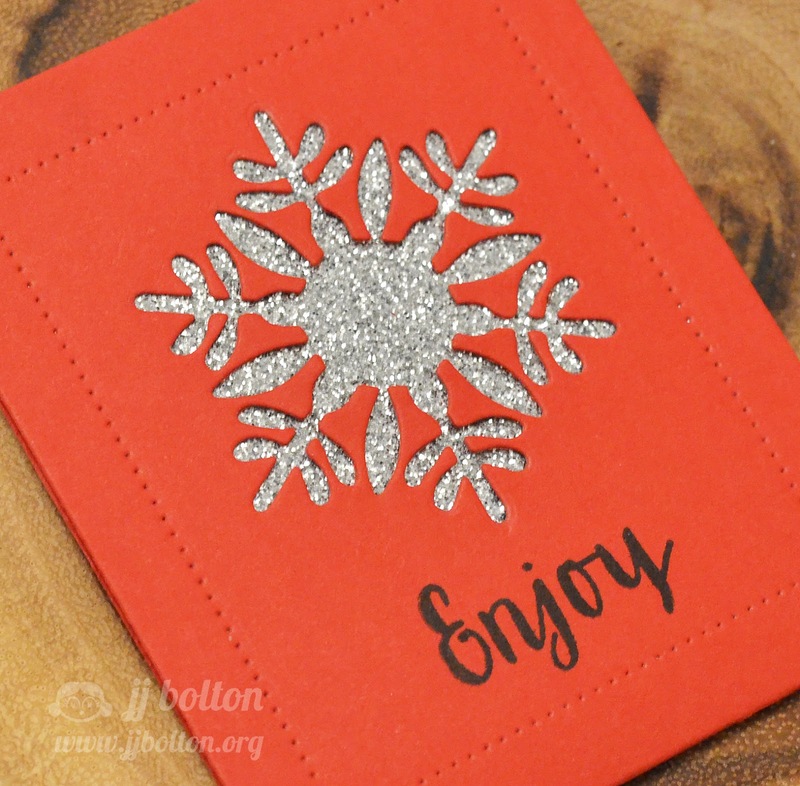 Just dropping in with a few ways to use the Just a Note die from the latest Avery Elle release! 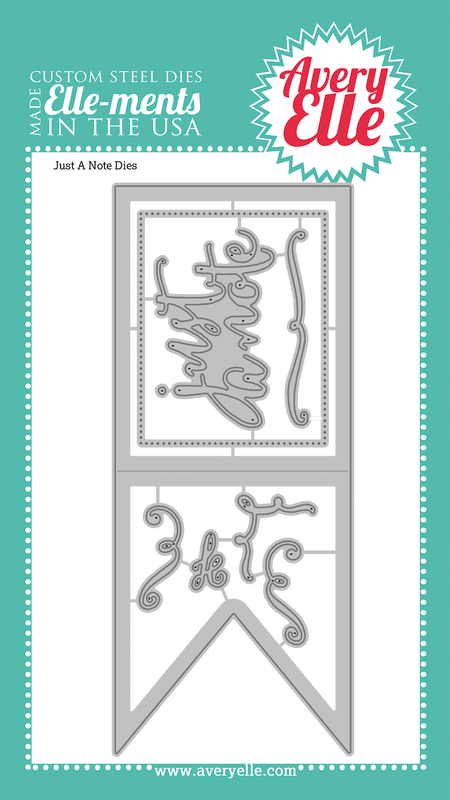 With this die set, you get the large die plus a "just a note" word die and a bunch of cute die cut flourishes. 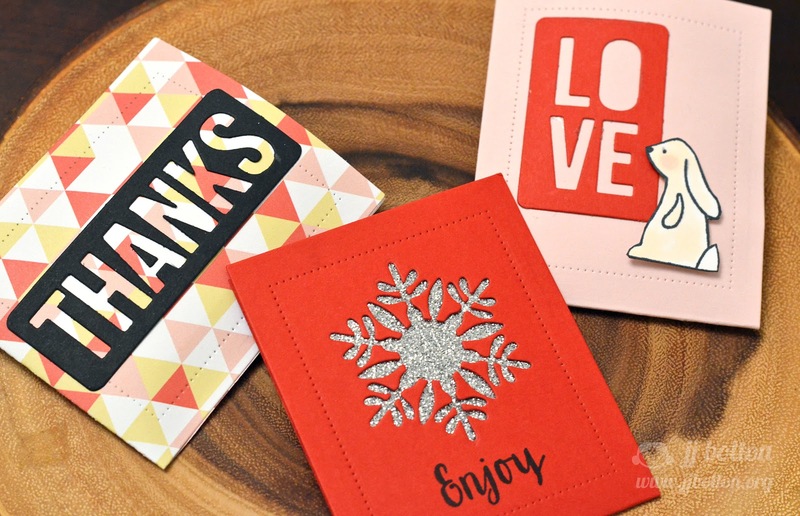 The large die can be used in a variety of ways: gift card holder, treat holder, envelope wrap, self-closing card (check out the Avery Elle site for some more tips on how to use the die). I used the dies from Fill in the Blank and Holiday Fill in the Blank to dress up my treat holders. When folded, the large die creates a pocket. The pocket is slim, but can accommodate small, flat items. I slipped in a chocolate square candy but you could try something like a tea bag or flat lollipop. I told you, easy, right? Thanks so much for stopping by today! These are wonderful! 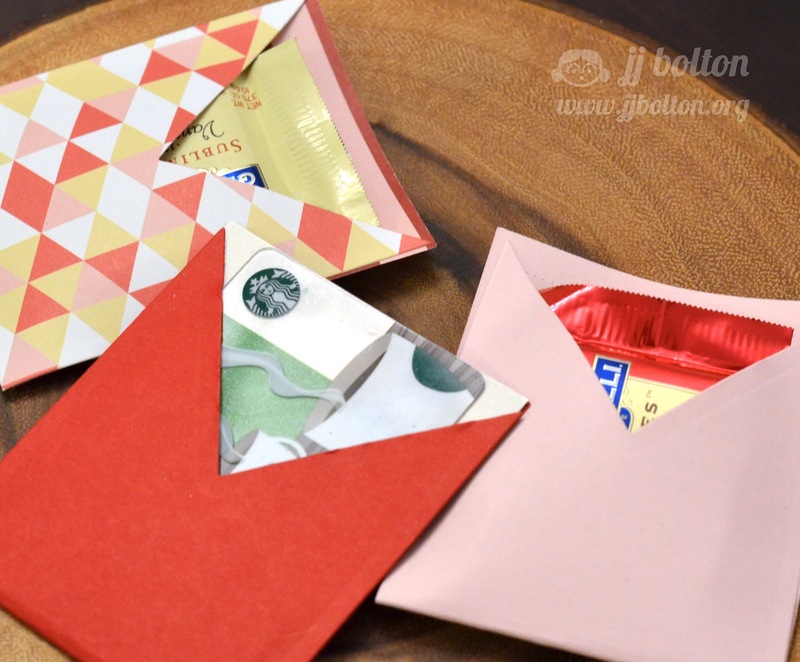 WHERE were you yesterday, when I was making boring old envelopes? Oh, these are way too cute!!! Love them! These are adorable! Such a great idea. How fun and cute! Perfect for mass production!! So cool and graphic, JJ! 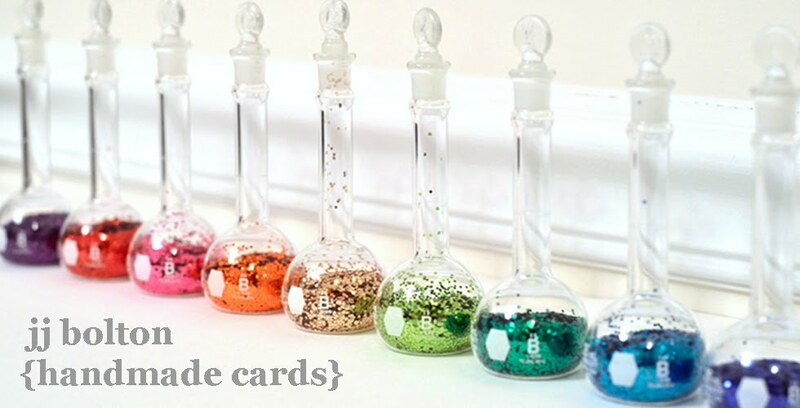 These are so cute, and quick and easy, win, win, win! You are so clever, JJ! Thank you so much for sharing these beauties with us!